Charleston County's rich blend of culture, economic activity, environmental beauty and historic tapestry makes it one of the most distinguished counties in the nation. A recognized leader, Charleston County is a proud community that strives to protect both its historic treasures and its environment, while still keeping an eye toward future development and citizens' needs. Charleston's numerous advantages have not gone unnoticed. The Partners for Livable Communities, a Washington, D.C. based non-profit foundation, included Charleston in its top ten "most livable places" in the United States. And, Conde Nast Traveler, the world's leading travel circular, named Charleston among its top five recommended American cities and top twenty cities worldwide. The County continues to draw national recognition, winning dozens of local, state and national awards for its innovative programs and services. In the past few years, Charleston County opened the Lonnie Hamilton III Public Services Building, completed restoration of the Historic Statehouse/Courthouse to its 1792 era, constructed a new Judicial Center to serve as the core of a Judicial Complex at the Four Corners of Law in downtown Charleston, renovated the Blake Tenement House, expanded the Cumberland Street Parking Garage and has several major projects ongoing, including construction of a new John's Island Library and new facilities for Emergency Medical Service and Magistrate's Courts in several areas of the county. With a full plate of activities and achievements, Charleston County strives to provide public service in an environment that recognizes both the need for fiscal responsibility and the desire to maintain excellence. 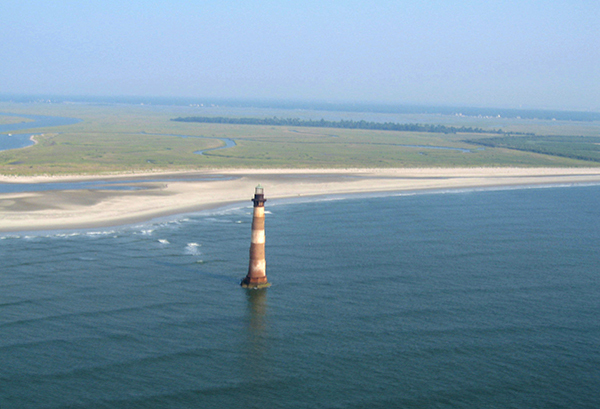 The first decisive American victory of the American Revolution was the Battle of Fort Sullivan on Sullivan's Island. A law passed by the S.C. General Assembly established a provincial library in Charles Towne and provided for its governance. This library, located on St Philip's Street, remained in operation for 14 years. Old St. Andrew's Parish Church, founded and built in 1706, is the oldest surviving church in the Carolinas. America's first recognized woman artist, Charles Towne's own Henrietta Johnson, began painting portraits. Colley Cibber's ballad opera Flora, or Hob in the Well, was performed at the Courtroom in Charles Towne. The first fire insurance in America, the "Friendly Society for Mutual Insurance of Houses against Fire," was founded in Charles Towne in 1736. It was bankrupted by the Great Fire of 1740 which destroyed more than 300 buildings. The New Theatre in Charles Towne opened with a performance of George Farquhar's The Recruiting Officer, but it closed soon after on March 23, 1736. Today the Dock Street Theatre, located on Church Street, occupies the remodeled New Theatre building. Dr. John Lining (1708-1760) took observations of Charles Towne's weather three times a day from his home on Broad Street. He recorded temperature, rainfall, atmospheric pressure, humidity, wind direction, and wind speed. Middleton Place, c. 1741, is America's oldest formally landscaped gardens. Completed in 1742, Drayton Hall now stands as one of the oldest and finest examples of Georgian Palladian architecture built before the American Revolution. Formed in 1749, Congregation Beth Elohim is the second oldest synagogue in the United States and the oldest in continuous use. The St. Cecilia Society was founded in Charles Towne. The custom house in London, England recorded a shipment of 8 bales of cotton from Charles Towne. The first prescription drug store began operation in Charles Towne. A special committee of the Charles Towne Library Society met to discuss the establishment of a museum in Charles Towne. Several months later another committee was appointed by Lieutenant Governor William Bull II (1710-1791) to collect materials for the new Charleston Museum, which is now located on Meeting Street. The Charles Towne Chamber of Commerce was organized at Mrs. Swallows Tavern on Broad Street. Today it is called the Charleston Metro Chamber of Commerce. The earliest known edition of South-Carolina Price-Current listed prices for 168 things bought and sold in Charles Towne. Four months before the Declaration of Independence was signed, South Carolina adopted a state constitution - drafted by a Provincial Congress - and elected John Rutledge (1739-1800) as the state's president and Henry Laurens (1724-1792) as its vice-president. The titles of these offices were changed to Governor and Lieutenant Governor by the Constitution of 1779. Robert Mills (1781-1855), who designed many famous buildings and monuments, was born in Charles Towne. Chartered in 1785, the College of Charleston is the oldest municipal college in America. Additionally, it is the only college in America to have four signers of the Declaration of Independence as founding members. Scottish merchants formed the South Carolina Golf Club in Charleston. Club members played on Harleston's Green in Charleston until 1800. Frances Ramage, a planter's widow, established a cotton mill on James Island, a large sea island that forms the southern shore of Charleston harbor. French botanist Francois Andre Michaux (1770-1855) planted tea at Middleton Barony (now known as Middleton Place) near Charleston. Charlestonian Joel R. Poinsett first introduced the popular poinsettia plant to the United States in 1820. Construction of Charleston's Fireproof Building began in 1823 and was completed four years later. This building, which is located at 100 Meeting Street, was designed by Robert Mills to house state records. The South Carolina Historical Society, which had offices in the building from 1859 until the end of the Civil War, has been located in the building since 1943. The Reformed Society of Israelites was founded in Charleston by 47 members of Kahal Kadosh Beth Elohim after their petition to change the Sephardic Orthodox liturgy was denied. The Best Friend of Charleston, the nation's first regularly scheduled train offering passenger service, originated from Charleston in 1830. It was the world's largest when the 140 mile rail line was completed to Hamburg, S.C. Artificial ice was first made in Charleston by John Gorrie. The world's first successful submarine attack occurred in Charleston Harbor in 1864 when the Confederate submarine Hunley sank the Union warship Housatonic. Note: On some mobile devices the file will download and you can then view it in a PDF viewer.